Are you feeling irritated to download and install various android apps for particular tasks on your smartphone? Have you gone bored from using common and outdated apps? If yes then it’s the right time to try out a new and very powerful app called “AskMe“. This new app is not similar to any other apps because it’s the Baap of All Apps. In these days, AskMe app is the most popular topic of discussion among the android users. Every android smartphone user wants to know more about it, so here are the complete details regarding AskMe. AskMe is an android application which helps users to know the all required information related to their locality. With the help of AskMe app you can easily find out what are the best restaurants, Bars, Spas, Doctors, Mobile Shops, Real estate agents, Beauty Parlour, Job Consultants etc in your local area. 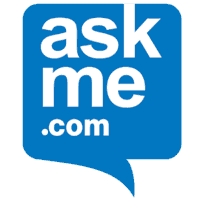 AskMe app is developed by the Getit Infoservices Pvt Ltd. If you are not familiar with this well-known Indian company then i would like to inform you that “Getit Infoservices Pvt Ltd” is the company whose two popular android apps “FreeAds” and “Yellow Pages India” are already in market. The user interface of this app is really amazing and enough to attract you in first sight. The AskMe app is designed with a great all-in-one concept and people are sharing a positive response about it. Advertisement of this app on television media is done by very young and popular movie star Ranbir Kapoor. After seeing the amazing features of AskMe app, its slogan “the Baap of All Apps” seems really reasonable. What You Can Do with Askme App? Here are some of the best and attractive features of AskMe app which you can enjoy according to your wish. With Ask Me Bazaar, you can shop different products according to your need and enjoy amazing deals on watches, clothes, accessories, apparel, digital camera and many other things. You will get latest classifieds on jobs, mobile, real estate, cars etc. right on your smartphone. Most importantly, you can get the addresses and phone numbers of local business. Even, you can call them directly through the app. You haven’t to wait for a long time because askme android app loads very quickly. The app is very easy to use, so anyone can freely use it without any confusion. Last but not least, askme is a free android app. Overall, we can say Askme is the app that seems to fulfil user’s requirements without any difficulty. Feel free to write me – What’s your view about this advantageous free Android app?